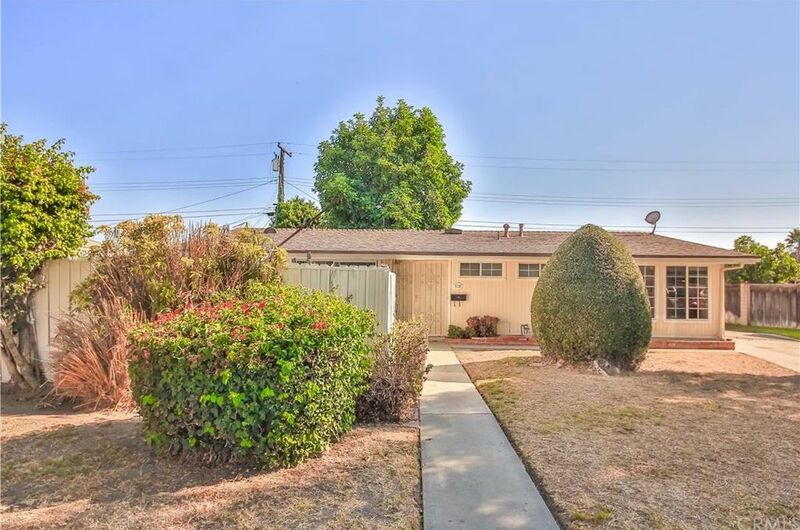 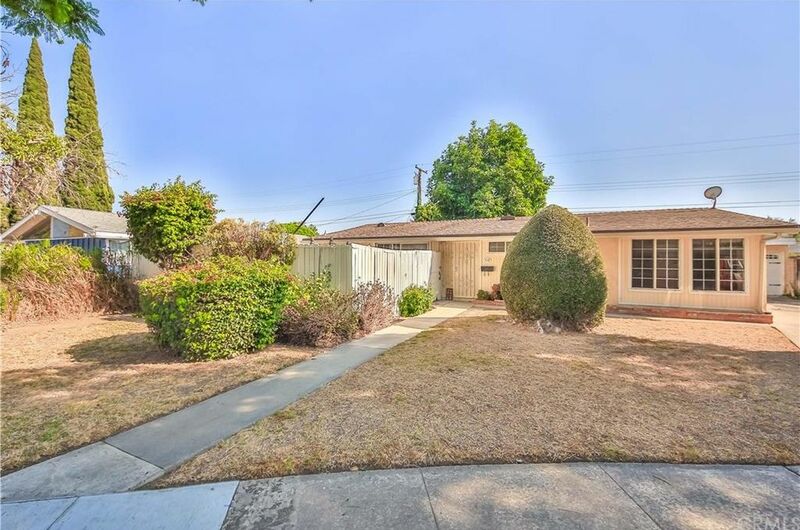 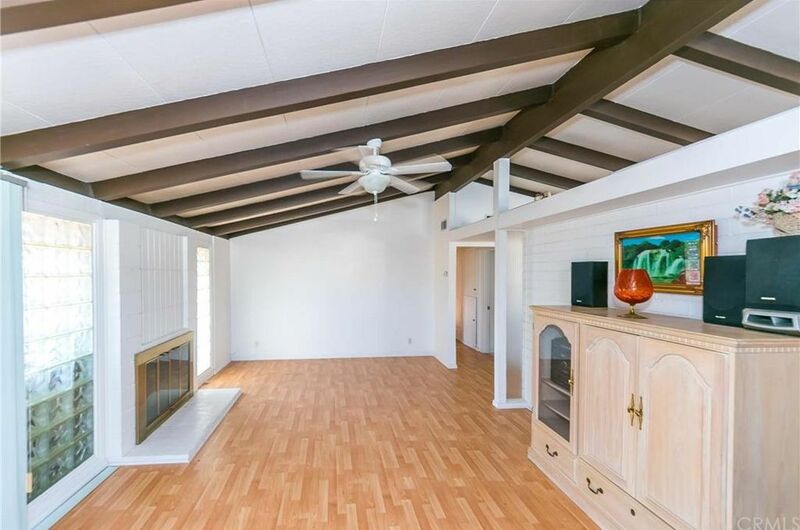 This sweet midcentury Palmer & Krisel-designed home was built by the Midland Companies in Fullerton, CA in 1954. 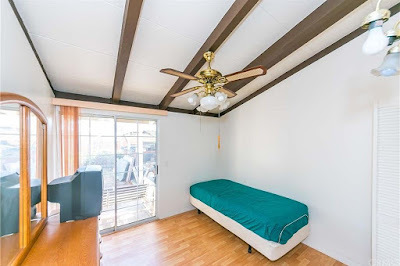 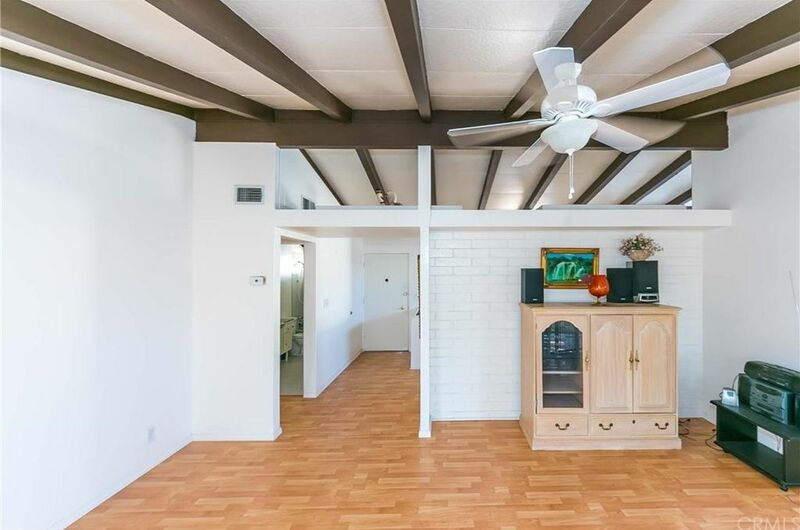 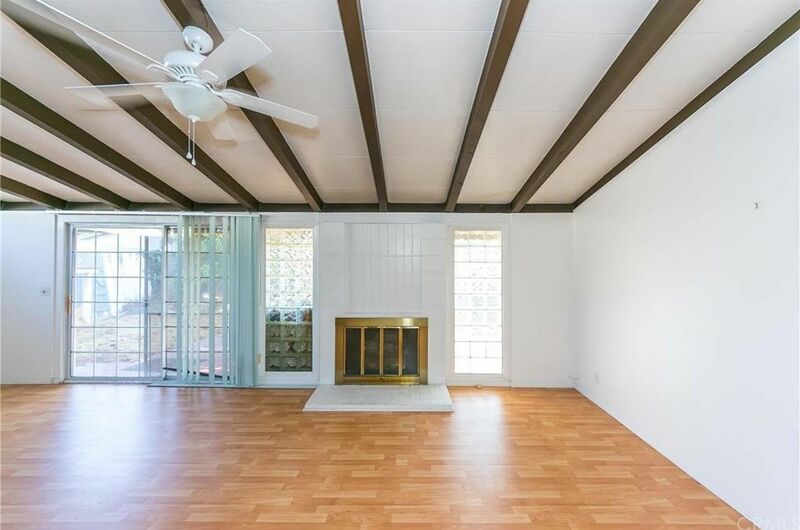 With three bedrooms and two bathrooms in 1,340 square feet sited on a 6,200 square-foot cul-de-sac lot, the asking price of this home is $475,000. 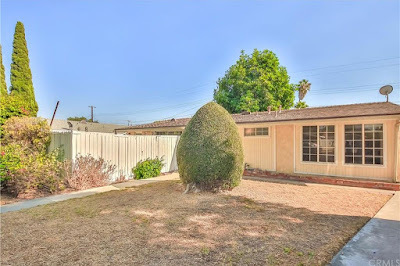 The exterior of the home appears to be a response to the ongoing drought, with the yard essentially being a blank slate to create a water-conserving modernist expression. Various shaped and sized shrubs sit within the yard, and a portion of the front yard area sits behind a wooden privacy fence. 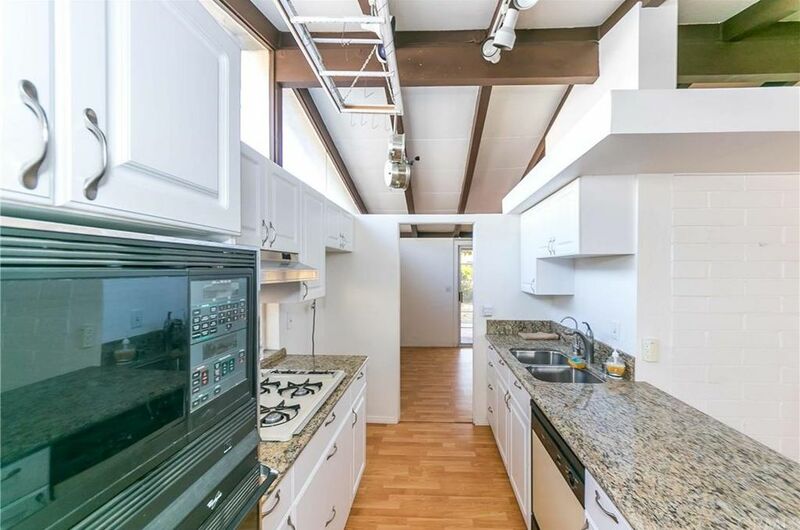 The floorplan of the home is one that we’ve seen lots of lately – the living and dining rooms sit at the rear of the home; the kitchen sits along the eastern side with a family room sited between the kitchen and entryway, while all three bedrooms are clustered together on the west side of the home. 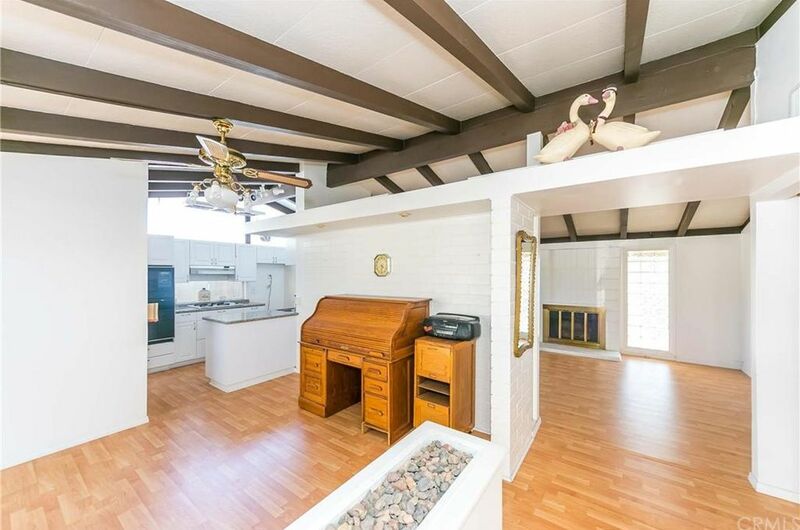 The family room sits off the entry, overlooking the front yard, and is separated from the entry with a vintage floating rock planter. A painted CMU-demising wall separates the family room from the south-facing living room, and a floating soffit spans the space. 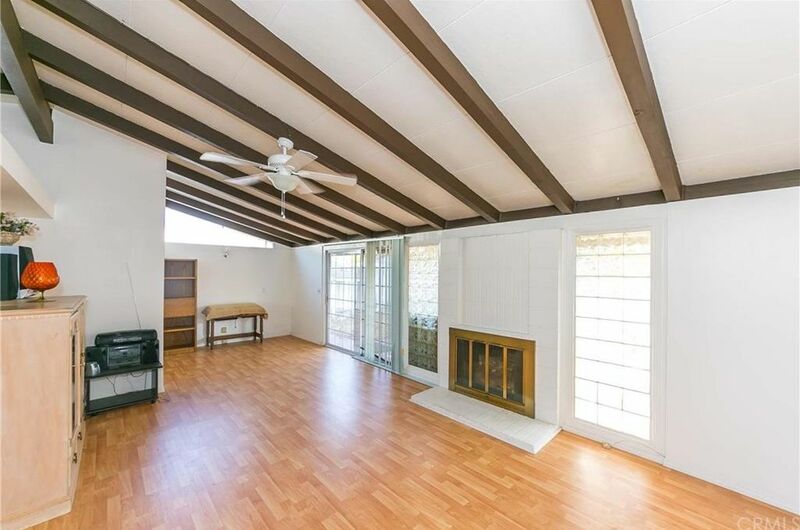 The living room features is original stacked block modernist fireplace, somewhat obscured by an aftermarket brass screen. 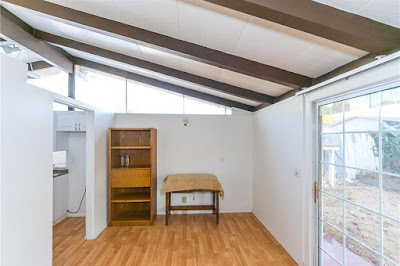 Most of the windows in the home have been swapped out for white vinyl replacements, but luckily the open beamed celotex ceilings are still in place, as are the original clerestory windows on the sides of the home. 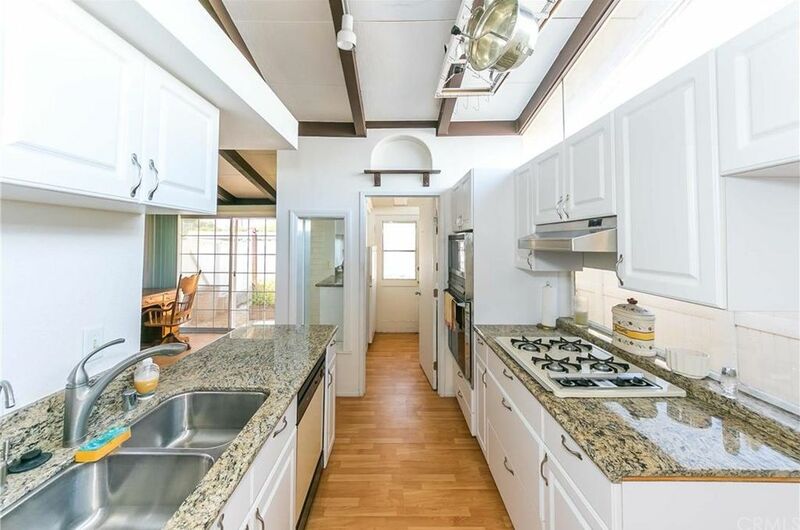 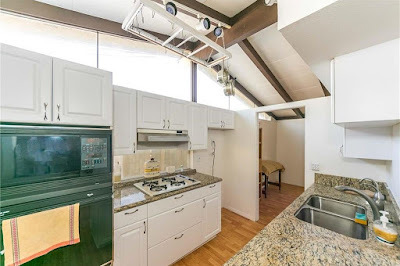 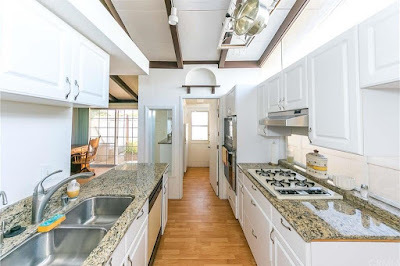 The kitchen has been updated with very traditional materials, including raised panel cabinetry, granite counters and a mix of appliance styles. 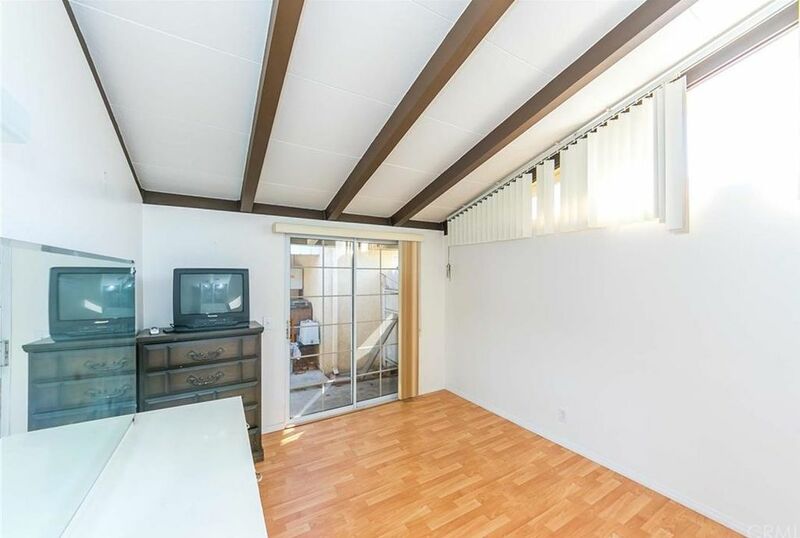 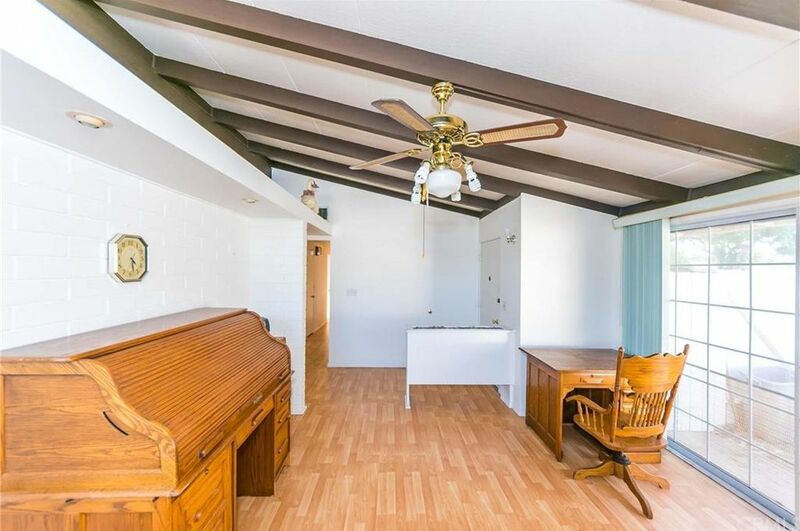 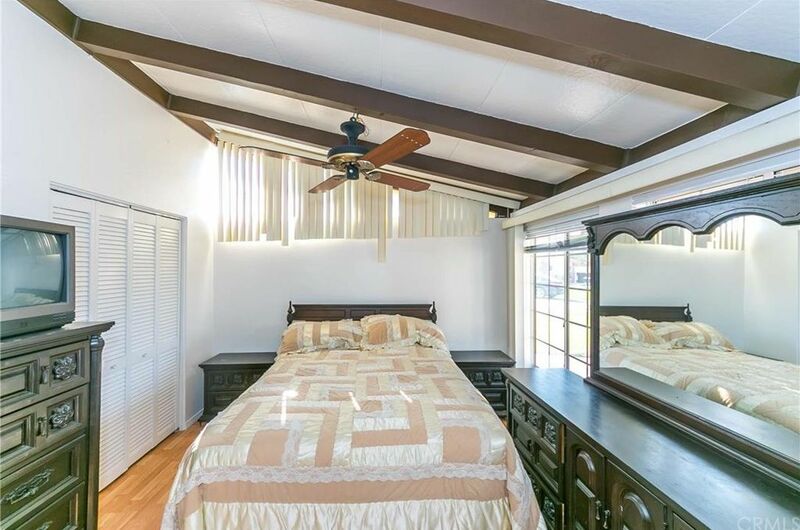 The three bedrooms all feature windows which have been converted to sliding glass doors, lots of windows letting in generous amounts of natural light, along with the open beamed vaulted ceilings found throughout the rest of the home. 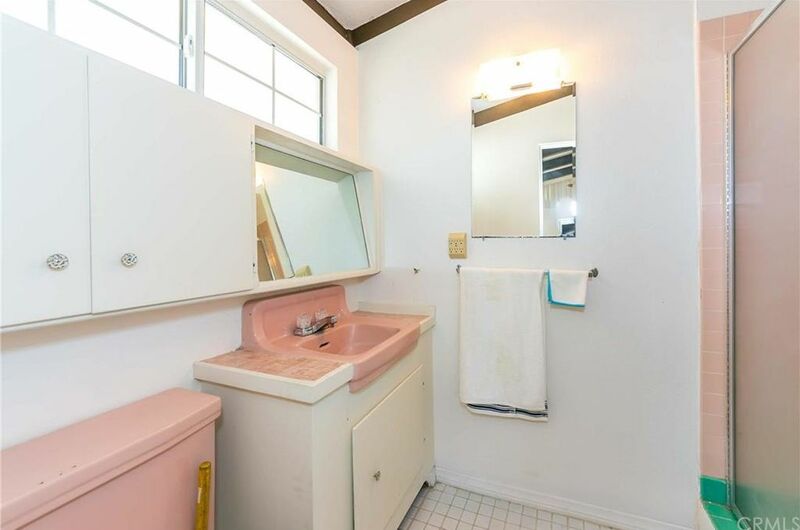 Both of the bathrooms are remarkably well-preserved, with vintage vanities, sinks, floating cabinetry and fixtures and lighting, with the master bathroom accented in midcentury pink and the guest bath in grey. 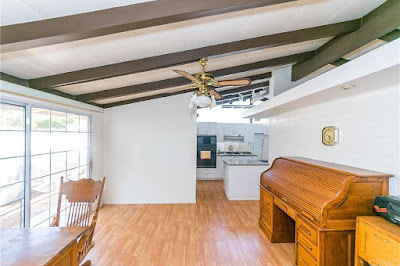 No photos of the backyard are provided, however the original detached two car garage takes up a portion of the southwest corner of the rear yard, with either a patio or storage room constructed on one side of the structure, while a large shade tree sits in the center of the yard. 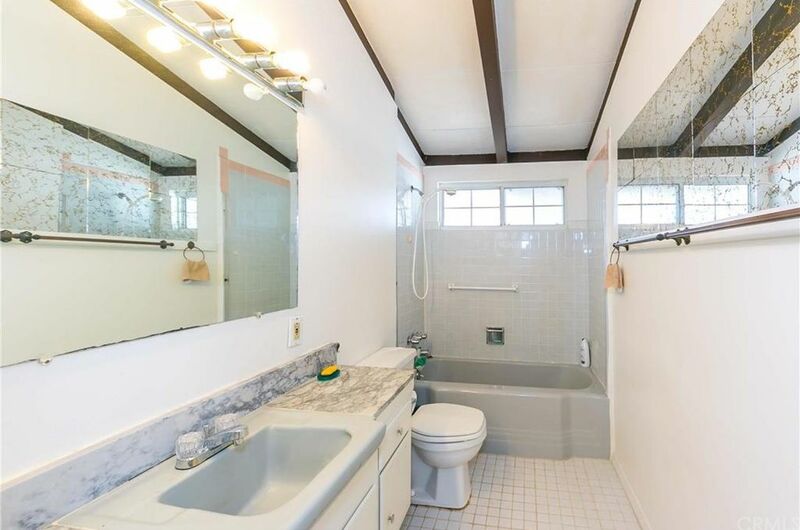 The bathrooms are some of the niftiest features on this home, and overall the property appears to have some great lines and bones. Redfin.com predicts this home will sell fast, so be sure to check it out before it’s gone.